Pet Daycare in Vancouver, Canada! Snorkeling with Seasl in Vancouver!! Such a unique experience with cute seals! Many people can say they’ve seen seals from the shore or aboard a boat, but rarely does anyone get the chance to interact with them. Now you can! This 4.5-hour excursion takes you right into the water with the plump pinnipeds. After a short plane and boat ride, jump into the water, snorkel gear firmly affixed to your head, and get ready for a once-in-a-lifetime opportunity. Takes 6 hours total - from Vancouver Harbour. Book it and read about it! The seals may opt to watch you swim from the rocks, but there's plenty of other sea life to check out on this fun excursion, open to snorkelers of all skill levels. 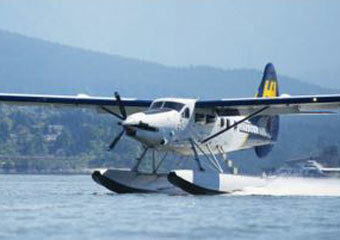 Head to Vancouver Harbour for a short, scenic flight to Nanaimo on Vancouver Island. 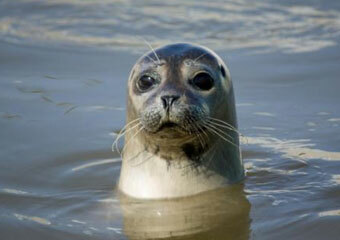 Once you land, hop on a boat for a 15-minute ride to Snake Island, where you'll get to snorkel with seals. Get outfitted with a wetsuit, mask, gloves, boots, fins and a snorkel, and then dive in. 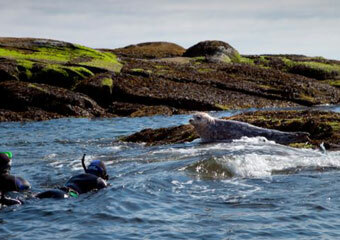 Who knows, your wetsuit attire might even make the seals think you’re one of them. 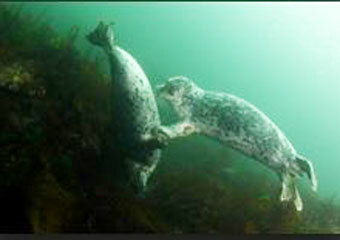 Dive underwater and get a sense of what the seals are up to when they’re below the surface. Wave a hand (or a flipper) at your newfound blubbery buddies. If they aren’t up for swimming, wander over to the shore, where you’ll likely find them sunbathing. You can expect to see more than just these fin-footed giants during your visit; look up for Canadian geese and majestic bald eagles, or dip your mask in the water to spot various fish darting around. 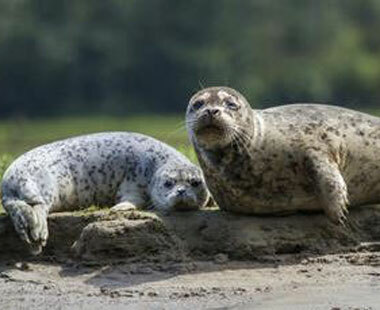 After about 2 hours of swimming and snorkeling with the seals and other sea creatures, climb aboard the boat and make the journey back to Nanaimo for your return flight by seaplane to Vancouver Harbour. Review: "Amazing tour! Such a unique experience with cute seals! The staff was very friendly and the boat ride out was equipped with beautiful scenery. The seals would jump into the water as we swam up to the island and then poke their head out and stare at us from 5 feet away!" Wish your fun activity was featured here? this ad space is available.